The way things are going at the present time, it will be wise for our government to abolish all history books from every school in the nation. The narrow-minded students of every college and university don’t need to learn about American history; they are writing their own history nowadays based on socialism, communism, and everything else that comes with it. 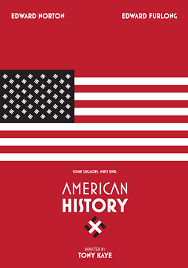 American history books should all be substituted by the Karl Marx Communist Manifesto. Student activists at Hofstra University in Hempstead, New York, the largest private university on Long Island, want a statue of the third president of this great nation, Thomas Jefferson, the drafter of key founding documents including the Declaration of Independence, removed from campus. All of a sudden everything in life is now racism and everybody is a racist. They are now going back 252 years to call Thomas Jefferson a racist. Not even their great-great-great-grandparents were born at that time. If history doesn’t fail me, in 1767 when Jefferson was 24 years old, he inherited 5,000 acres of land and just 52 slaves by his father’s will. Through his marriage to Martha Wayles in 1772, he inherited from his father-in-law two plantations and 135 slaves. Because of his growing debts, it would have been very difficult to free his slaves and lose them as assets. In Jefferson’s writings on American grievances justifying the Revolution, he attacked the British for sponsoring the slave trade to the colonies. In 1778, under Jefferson’s leadership, slave importation was banned in Virginia, one of the first jurisdictions worldwide to do so. Jefferson was a lifelong advocate of ending the trade and as president led the effort to criminalize the international slave trade that passed Congress and he signed in 1807, shortly before Britain passed a similar law. The statue of Jefferson has also been vandalized repeatedly. “Black Lives Matter” and “Decolonize” were recently scrawled upon the statue. The aim of the rally at Hofstra University is to have the statue removed, according to the Campus Reform, a watchdog group. College Democrat group students and alumni are also involved. According to the university’s webpage, the estimated tuition and fees are $47,510. Is this the amount of money those students want their parents to waste on total nonsense? According to news reports the university has yet to take action on the activists’ demands and remove the historic statue but has formed a task force to consider the matter. bunch of parasites attending the university because apparently, they don’t have anything useful to do with their time and their parents apparently have plenty of money to throw and to keep those socialist parasites away from their peaceful homes. If Hofstra and its president bow to this pressure, it will not be the first time a statue of a historical figure has been removed from a university or public place. Since this is a private university, I assume this is all about the tuition and other fees those students bring to the premises, but definitely, it will be the end of American history. email her at pviasmensky@lasvegas tribune.com.